This newly renovated home features living areas on two floors, six bedrooms, and three baths. 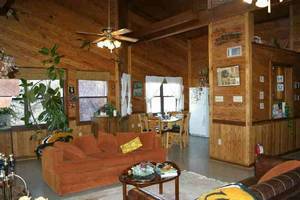 Enjoy cookouts on the large screened porch overlooking the moss-laden cypress trees. An "inside" George Forman area.makes preparing your feasts easy. while a large barbeque pit is outside, under roof. This home features two & 1/2 full kitchens - one on each floor... making this the perfect home to share with friends and family. Perfect for reunions, scrapbooking weekends, business retreats, funeral gatherings, even wedding parties. Call to check out the unlimited parking facilities and private grounds for your next event. George Forman grills in special room off kitchen. Large trays for crawfish boils. Extra tables and chairs for a larger day gathering..party, etc. Lots of dishes, utensils, etc. for private parties, meetings. Lots of parking places.. There is so much to do in this Louisiana Paradise. Located less than 1 hour from New Orleans, it's a short drive to enjoy the Audubon Zoo, French Quarter, Jazz Fest, Mardi Gras, Sugar Bowl, gourmet restaurants, and shopping. Bring your boat and enjoy the bountiful Louisiana fishing, or charter a boat for fishing, sightseeing, or swamp tours. If you like Casinos, shows, and beautiful white beaches, the Mississippi Gulf Coast is a two hour drive and many of the casinos are again in operation.perfect for a day trip. 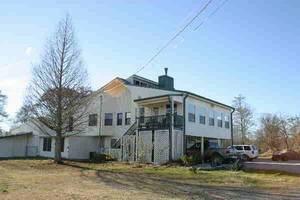 This bayou getaway, located in Bayou Blue, LA, is in the heart of hundreds of acres of natural beauty. The upstairs features a full kitchen, spacious living areas, 2 bedrooms and a bath...and beautiful views! This beautiful new kitchen and dining area overlooks ths screened porch to the cypress trees beyond. 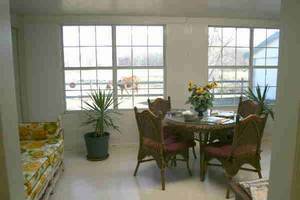 Relax in this cozy reading nook overlooking the pasture. 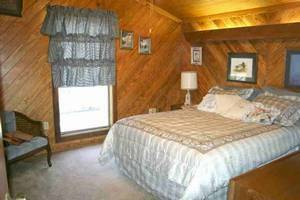 One of two upstairs bedrooms, this cozy retreat has a full bath right next door! Relax in this spacious upstairs area... space for birdwatching, reading, eating, or even napping on the many sofas! 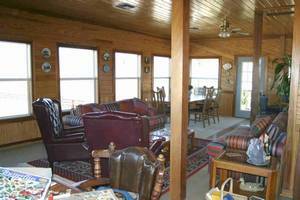 This is the gathering area... bring some friends and enjoy a relaxing stay on the Bayou! This brand new kitchen is perfect for hosting large get-togethers. An adjacent indoor grill makes cooking a breeze! Stayed here with friends for Mardi Gras had a blast owners are very nice people. We were so lucky to find the Bayou Getaway. It was wonderful to spend our vacation in a "home setting" rather than in a hotel. You couldn't find two nicer people than the Moise's. They go out of their way to be accomadating. 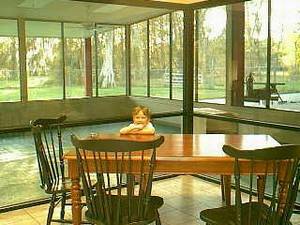 My 2 year old loved feeding the horse and the large screened porch was a great place for the kids to play. I wouldn't hesitate to recommend the Bayou Getaway to folks visiting LA. What a beautiful setting and what nice people. In our 31 years of meeting for New Years, NEVER have we rented (and we have \rented a lot) a home that was as well equipped as "The Getaway" Lots of extras in the abundantly stocked kitchens, which represented substantial savings, We had a wonderful time and would recommend "The Getaway" to anyone coming to the New Orleans area. Thanks so much. 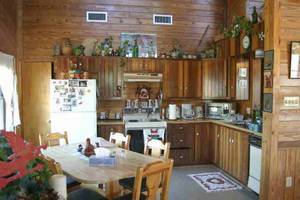 Nancy H.
In our 31 years of meeting for New Years, NEVER, have we rented , (and we have rented a lot) a "home" that was as well equipped as "The Getaway" Lots of extras in the abundantly stocked kitchens, which represented a substantial savings . We had a wonderful time and would highly recommend "The Getaway" to anyone coming to the New Orleans area. Thanks so much.. Nancy H.
Special event rates apply for Mardi Gras, Jazz Fest, Sugar Bowl, Fourth of July, Memorial Day, Labor Day, and other special events. 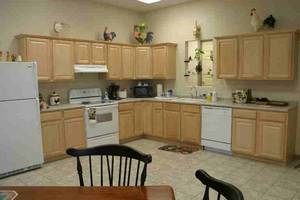 Please inquire for rates and availability. Deposit: 50% reservation deposit ($500.00 minimum) converts to security deposit at check-in.